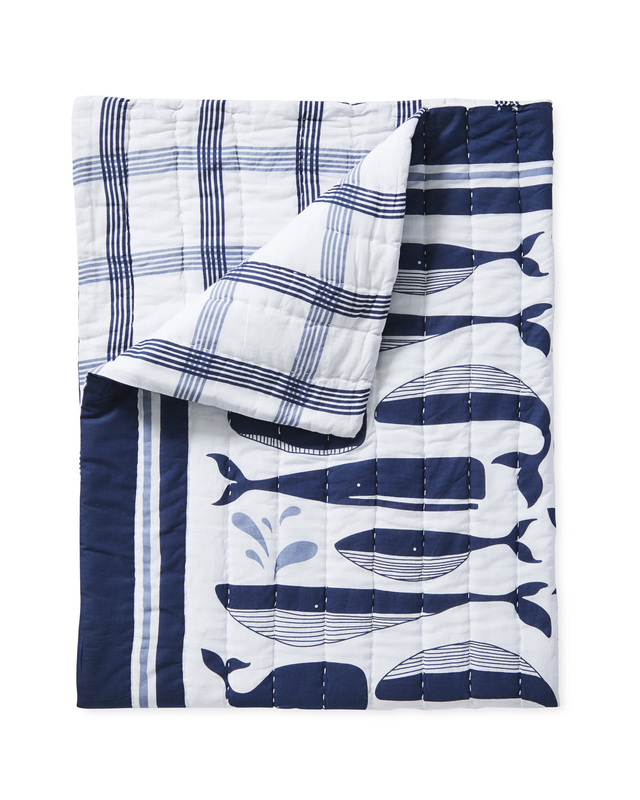 Melville Mini QuiltMelville Mini Quilt, alt="Melville Mini Quilt, "
Print Ready to make a splash in the nursery? 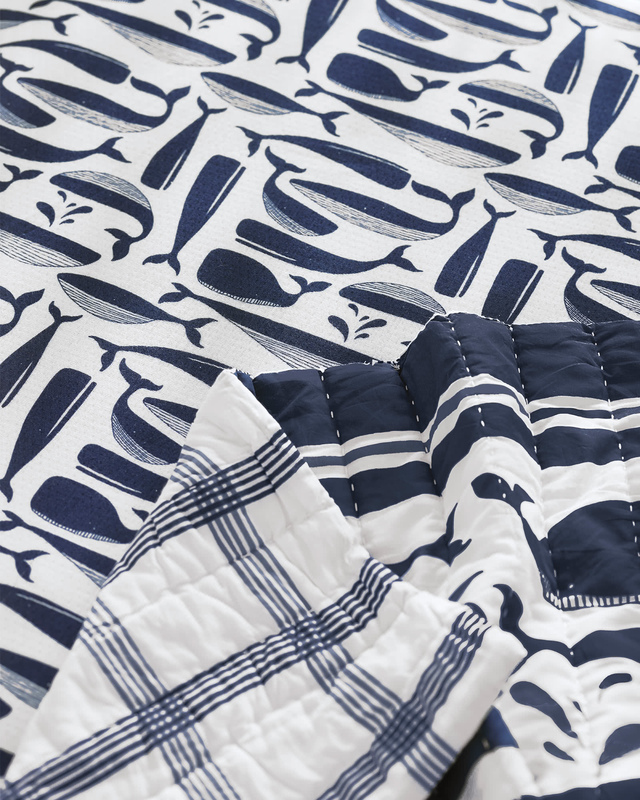 Our reversible quilt offers two fun looks in one – whales on one side, windowpane plaid on the other. 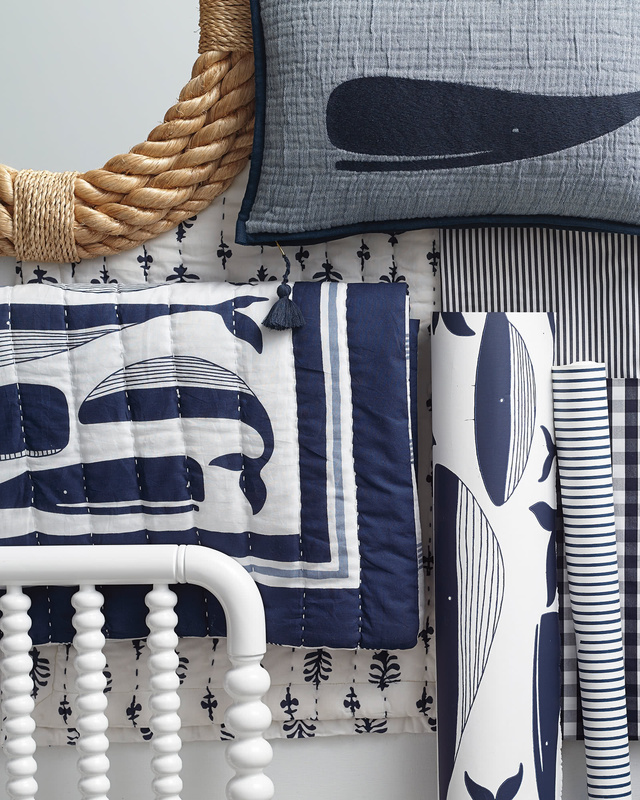 Both sides have a hand painted look we love, and the quilt (shell and fill included) is made of of pure cotton for a perfectly soft and breathable layer. 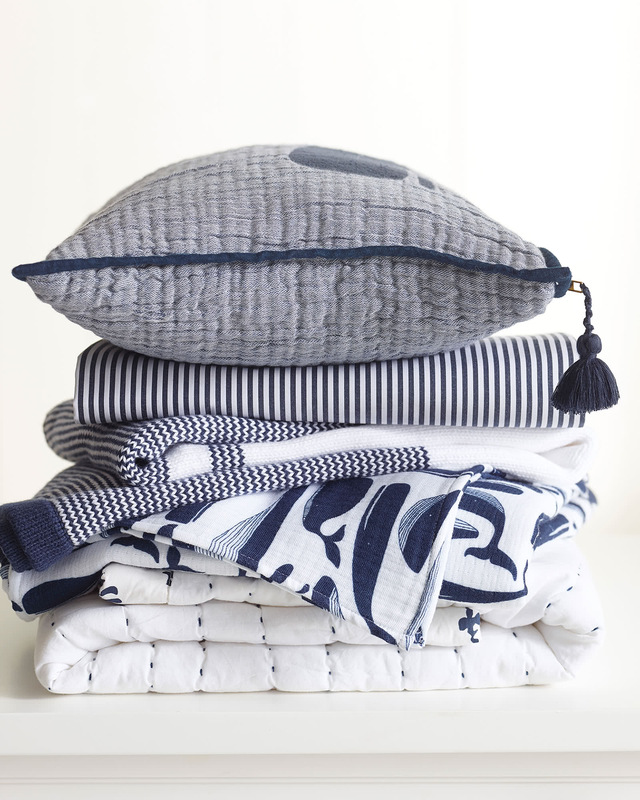 100% cotton shell with a pure cotton fill. Contrast pattern on the reverse. Because this piece is screen printed by hand, no two will be exactly alike.